If This Be Method ... | …yet there is madness in it. In spring, a young man or young woman’s thoughts lightly turn to those of love and how better to express those thoughts than to inscribe them on the early spring dust and grime covering one’s vehicle? Ahead of me at the stoplight, I saw a burgundy Suburban with the name “Deimein” plus a heart on the back and at a second stoplight, just a heart drawn on the tailgate. Truly spring is in the air …. As Halloween approaches and the days grow dark and foggy, I’d like to recommend AMC’s The Terror for a top flight dose of Gothic horror. In 1845, Sir John Franklin sought to cap off his naval career by leading one last expedition to the high Arctic in an effort to find Northwest Passage from the Atlantic to the Pacific. His ships, the Erebus and the Terror, were the two most technologically advanced ships of their day: his men, the astronauts of their time. The 124 man expedition was lost with all hands and their ultimate fate not discovered until recently. As the series opens, the expedition is ill-omened from the start. Sir John (Ciaran Hinds) ignores the advice of his more cautious and more experienced second in command, Capt. Frances Crozier (Jared Harris), to winter over at King William Island and pushes ahead. The ships become frozen in and the crew can only wait for the coming of spring. But spring comes and the ice does not melt. Facing hypothermia and starvation, the crew’s fate is well and truly sealed when they accidentally kill an Inuit shaman, unleashing the spirit creature he controls, the Tuunbaq, which begins to stalk and kill the remaining men. As the story unfolds, however, it becomes clear that the monster is less of a threat to the expedition than Victorian hubris, race prejudice, lead poisoning, and the mental strain such difficult conditions placed on the men. The expedition, in short, carries the seeds of its own destruction with it and those destructive tendencies play out over the course of the show. Television series and movies set in the Arctic often suffer from a lack of realism. Not so The Terror. The level of care and detail in re-creating the ships, the clothing, the landscapes, and the weather is so high that you’ll have a hard time believing that most of the series was shot on sets in Czechoslovakia. Kudos to the producers and the technical crew. 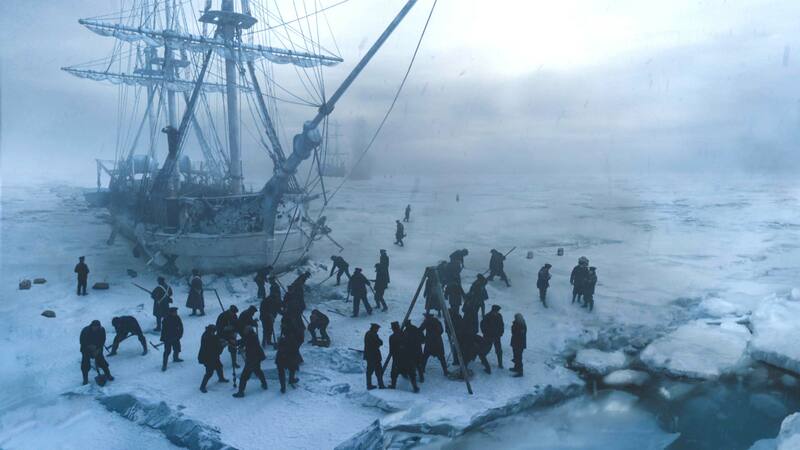 Final verdict: one part Gothic horror story, one part gripping historical drama, The Terror is well worth your time. Spoilers ahead: Do not read any further as crucial plot points will be discussed …. Let me just say first that I really enjoyed the Last Jedi and thought it was better than its predecessor, The Force Awakens. That being said, the Last Jedi had some plot holes large enough to sling a bantha through which is mystifying given writer/director Rian Johnson’s otherwise solid workmanship. Were there not enough eyes on the script or too many? Hard to say at this distance. 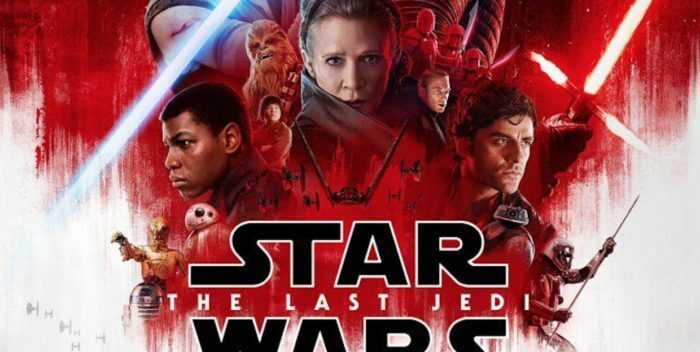 Briefly, The Last Jedi takes place immediately after the events in The Force Awakens. The First Order has destroyed the capital of the Republic, but the Resistance has managed to destroy the new, improved Death Star, Starkiller Base. The Resistance forces are now on the run pursued by a First Order fleet that’s determined to wipe them out. Excellent flow and pacing: The cuts between scenes were very well done, the switching between the storylines of different characters was seamless, and the story clipped along quickly. Central role of female characters: I don’t think that I’ve ever seen a Star Wars movie where the female characters (Leia, Holdo, Rose, Rey, Paige) played such crucial roles in the plot. The male characters are there certainly, but the women are linchpins of the story. Improved costuming especially for Leia. The costume designer, Michael Kaplan, took his inspiration from Queen Elizabeth II and the result is much better clothes for Leia–more regal, more flattering. Especially noteworthy Leia’s striking cloak with a high collar. Captain Kannady: The smart, no nonsense commander of the Imperial dreadnought. Kannady is one of the few competent officers that the First Order seems to have–which is probably why he lasts all of five minutes. Sightings of British actors from Games of Thrones and other Brit TV shows: Apparently the First Order is very British in make up. General Hux: Hux began as a one note baddie, but he actually begins to become somewhat sympathetic in this movie. The sibling rivalry between him and Kylo Ren as the competing, dysfunctional sons of the same abusive father (Snoke) was seeded in the first movie, but is now very much in evidence and can only become more pronounced in the upcoming third film. Adam Driver as Kylo Ren: It’s a testimony to Driver’s skill and charisma as an actor that he invests Ren with so much interior conflict. This is the Darth Vader origin story that the prequels never delivered. Best new character: Rose Tico played by Kelly Marie Tran. Introducing a new character into the Star Wars verse is always fraught with peril–think Jar Jar Binks–but Rose is very likeable and spunky. Also kudos to Veronica Ngo who plays her sister, Paige, early in the film. And I enjoyed Benicio Del Toro’s turn as D.J., the hacker. Del Toro’s character isn’t even given a name on screen, but he still delivers a nuanced performance. The exquisite sets for the fight sequences especially the battle in the throne room and the final fight on Crait. One note villains: Is it really too much to expect that Star Wars antagonists be something other than mustache-twirling-style baddies? Apparently, the answer is yes to that. Snoke is dispatched before we learn anything about him, even how he got that massive scar. The only thing we learn is that he hates Luke Skywalker with a passion. Did Skywalker give him that scar? Was there a battle between them? We will never know. It’s a shame to see Snoke go because Andy Serkis does a great job with the character. Serkis simply exudes power and charisma even under all that CGI. Ditto for Phasma (Gwendolyn Christie) who is dispatched before we ever learn her back story. Excellent actors whose characters aren’t developed: Laura Dern as Adm. Holdo has a wonderful chemistry with Leia (Carrie Fisher). The entire “we must go a whole different planet in order to sabotage a flagship that is DIRECTLY behind us” plot. Don’t get me wrong–the casino planet visit was fun, but it should have come much earlier in the story. Along those same lines, the “there is a suspected spy in the ranks” is also a plot line that is not played out well. It should have been introduced earlier which would have made Holdo’s secrecy and Poe’s mutiny much more credible. In the extras, director Rian Johnson mentions at one point there was a rumor that General Hux was going to be killed off and he received a number of e-mails pleading for Hux’s life from Russian accounts. Just Russian Star Wars fans with an attachment to a fascist baddie as Johnson seems to think or another one of the Kremlin’s cyber warfare sallies? 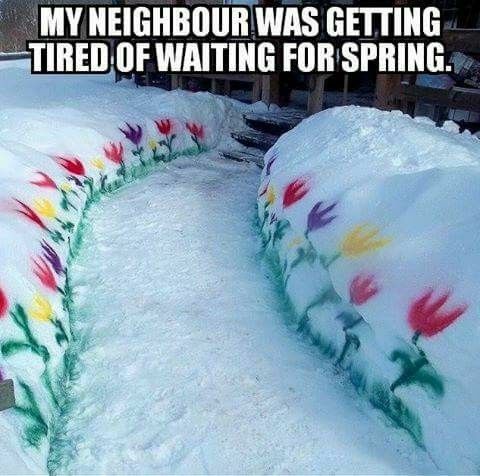 Re: Spring, Spring, Where Art Thou? This picture pretty much conveys my feelings about now. While there has been some melting and the days are getting longer, Hobbiton still remains buried under 80 inches of snow. Currently, everyone is agog over the reboot of the 1990s sitcom, Roseanne. Color me unimpressed. I wasn’t a fan of the original show–the characters were largely unlikeable, the writers seemed more concerned with sending a message than telling a story, and–the real nail in the coffin–the show simply wasn’t funny. The show from that time period that I enjoyed the most was Married with Children. It’s hard to believe now, but at the time Married with Children was considered quite controversial. The Bundys were a highly dysfunctional family and the comedy was exaggerated and transgressive. Al, the family patriarch, was a bitter man hanging on to his glory days as a star high school quarterback. Peg, the mother, was disinterested in her kids and disillusioned with her husband. Bud was their loser son and Kelly was the airhead daughter. What sold me on the series, however, was that when the chips were down, the Bundys put aside their in-fighting and banded together. Beneath all that dysfunction, there was a lot of love for one another. For a blue collar show that speaks to my working class reality, however, you need to come forward in time to Hap and Leonard. While the show is set in 1980s Texas, it resonates with my Arnorian upbringing. I knew guys like Hap and Leonard, I grew up with them, and sometimes I’ve been them. Hap (James Purefoy) is a man destined to march to the beat of his own drummer and usually in the opposite direction that everyone else is marching in–and there’s nothing more Arnorian than that. Leonard (Michael Kenneth Williams) rages against injustice of the world and as a black man and a gay man, he sees a lot of injustice. The show itself has a largely rural setting and the characters aren’t that far removed from living off the land. In their latest outing, the Two Bear Mambo–author Joe Lansdale comes up with the best titles–lawyer Florida Grange goes missing in the Klan-run town of Groveston and Hap and Leonard set out to find her. How far thou has fallen from heaven, O Lucifer, Son of the Morningstar. As we learn in the opening credits of Season 1, Lucifer was cast out of Heaven and reigned in Hell. That is, right up until he decided to take a vacation to–where else?–Los Angeles. The City of Angels is one big party for Lucifer–booze, babes, and the blues (and jazz and rock and roll and other genres of the Devil’s music, etc. )–until a young singer is killed outside his club, Lux. Determined to punish the guilty party, Lucifer teams up with Detective Chloe Decker, a B-movie actress turned police officer, to find the murderer. And the rest is three seasons worth of history. 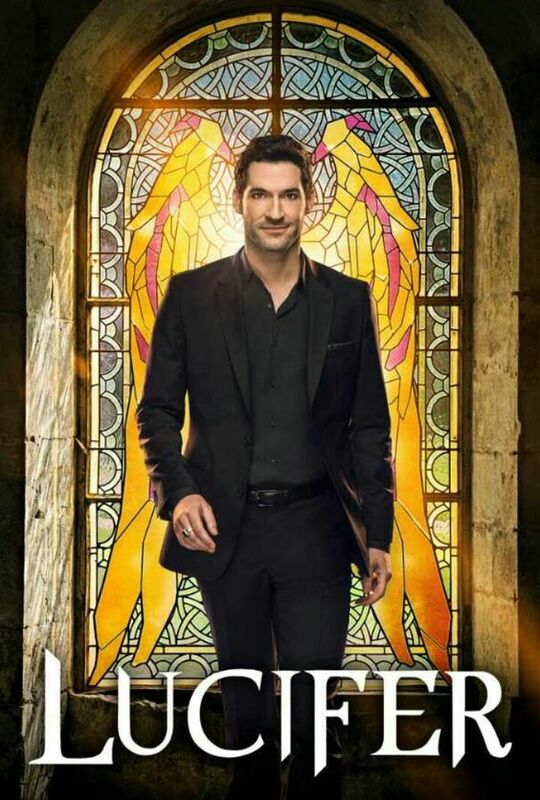 In Season 1, Lucifer, played by the tall, dark, and handsome Tom Ellis, discovers that he enjoys punishing the guilty and winds up as a civilian consultant to the LAPD. He is partnered with Chloe Decker (Lauren German) who is a pariah in her department due to her investigation into police corruption on the force. Disturbingly, the immortal Lucifer discovers that not only is Chloe immune to his powers, but he becomes mortal when he’s around her. Along the way, Lucifer has to deal with his older brother, Amenadiel (D.B. Woodside)’s, efforts to return him to Hell and his right-hand demon, Mazikeen (Lesley-Ann Brandt)’s, not-always-welcome efforts to look out for him. Fortunately, he has a therapist (because everyone in L.A. has a therapist), Dr. Linda Martin (Rachael Harris), to confide in. In Season 2, Lucifer discovers that his absence from Hell has allowed a high-value prisoner to escape–his dear old mum. Lucifer’s mother, the Goddess of Creation, has possessed the body of a high powered lawyer, Charlotte Richards (Tricia Helfner), and plots to return to Heaven and confront her estranged husband, God. Meanwhile, Amenadiel has his own problems as he has begun to lose his angelic powers. Mazikeen has embarked on a new career as a bounty hunter, Linda continues to administer therapy to dysfunctional supernatural beings, and Chloe and Lucifer alternately fan and step on the embers of their budding romance. Added to the cast, the plucky forensic technician, Ella Lopez (Aimee Garcia). In Season 3 (about halfway done at the time of this writing), Lucifer contends with the rise of a sinister “godfather”, the Sinnerman, cutting into his favor-granting biz and the arrive of a hotshot police officer, Lt. Pierce (Tom Welling), the new head of Chloe’s department. Lucifer sports some of the most solid writing on TV. All the characters are well-rounded, the scripts are both funny and poignant, and the mysteries entertaining. It’s also a very musical show which is perhaps not surprising given the number of songs that reference Heaven, Hell, angels, sin, etc. Leading man Tom Ellis has an excellent voice. As a non-human, Lucifer has a fish-out-of-water-eye’s view of human activities and his help on the case tends to be more accidental than deliberate. What that means in practice is that the female characters take on the more aggressive, protector roles usually accorded to men. It’s also the kind of show that raises tantalizing questions about the Afterlife. We learn, for example, that people’s feelings of guilt about their past actions, not the Devil, are what consigns them to Hell. Given that most everyone has done something that they feel guilty about, does that mean that everyone goes to Hell? Conversely, is Heaven populated by sociopaths/psychopaths who have no feelings of guilt over their actions? Verdict: Give in to your desires and watch Lucifer. You’ll be glad you did.